Chinese American Culture Night (CACN) is an annual stage production hosted by the Association of Chinese Americans (ACA) at UCLA. It is held in the prestigious Royce Hall and free for all to attend. Over 100 students put in countless hours of practice and rehearsal to put on a show for over 1000 members of the community. 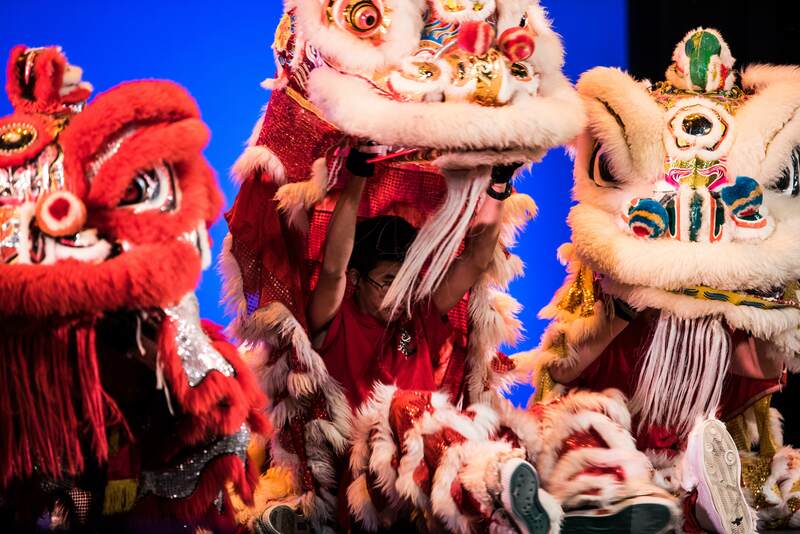 CACN utilizes performances by ACA Hip-Hop, Chinese Cultural Dance Club, UCLA Wushu, ACA Lion Dance and CACN Drama to educate the greater community on relevant issues that affect us all today and to promote Chinese-American cultural awareness on and beyond the UCLA campus. This year's topic raises awareness for the death of Vincent Chin in the 1980s. The story not only follows the events of Chin's life and death, but also demonstrates how the injustice towards this Chinese-American affects us all. We hope that you understand the importance of this topic to ensure that Vincent Chin's life and legacy does not become forgotten. Please help us in bringing the Chinese-American community closer together by bringing attention to this pivotal moment in our history. 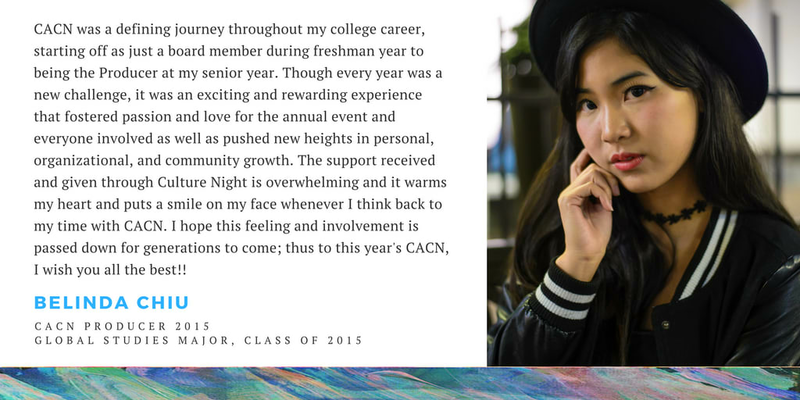 CACN is an event completely free for UCLA students and members of the general community to attend. To keep the event free, we must fundraise to cover all the costs associated with putting on the production. This includes the costs for costumes, props, food, marketing, and most importantly the venue. In total, the production costs over $30,000, with the venue alone costing over $25,000. All students involved in the production volunteer their time to make this happen. We continue to make this a free event as we recognize the importance of raising cultural awareness and we ask you, the community, for support. Additionally, all donations made to our production are tax deductible! 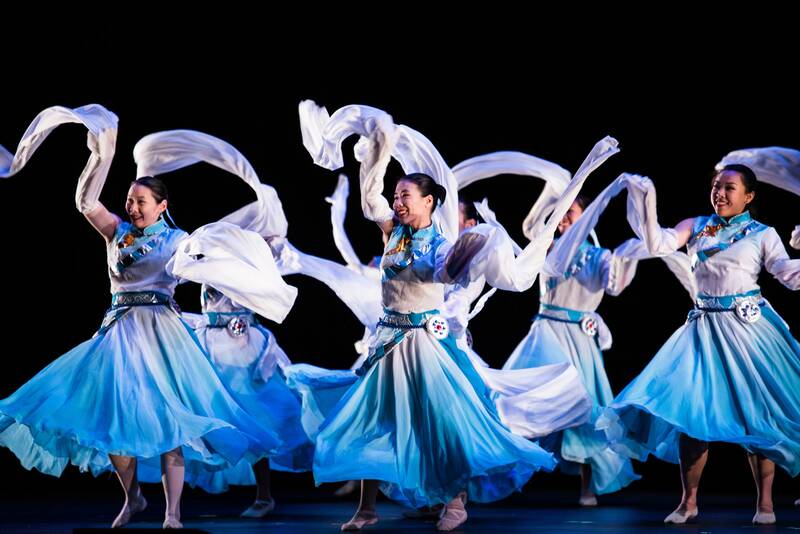 The Chinese Cultural Dance Club is dedicated to the spreading of Chinese culture at UCLA and in the surrounding community by providing a variety of free classical and ethnic Chinese dance lessons to anyone who wishes to learn. As a performance group, we work hard to provide professional-quality exhibitions to properly represent the rich cultural history and significance of each dance we showcase. The UCLA Wushu club is an an official UCLA sport club that aims to promote the spirit of Wushu. The club teaches students a variety of martial elements styled from Kung Fu and Tai Chi. Each member learns a blend of strength, agility, and flexibility to showcase a perspective beyond brute combat. 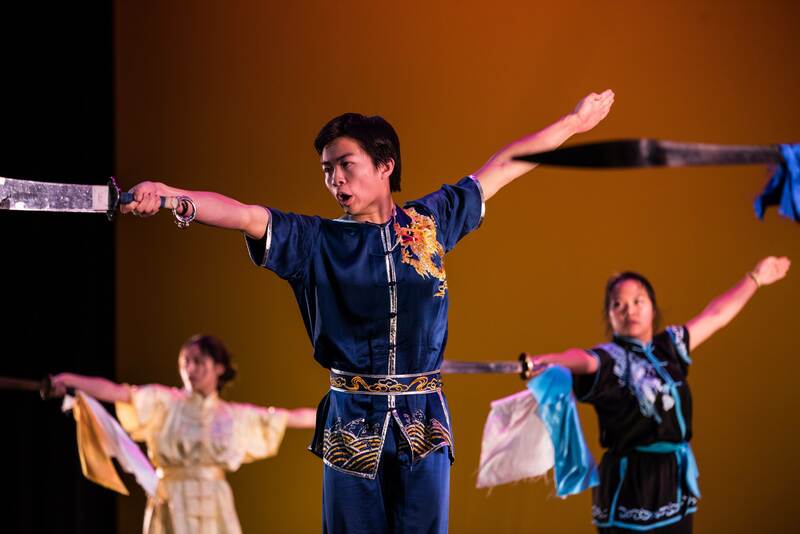 Ultimately, the club serves to embody and promote the spirit of Chinese martial arts, while creating a safe and fun environment for college students to relieve stress by practicing wushu. The Chinese lion dance team at the University of California, Los Angeles (UCLA) is affiliated with the Association of Chinese Americans (ACA) student organization. 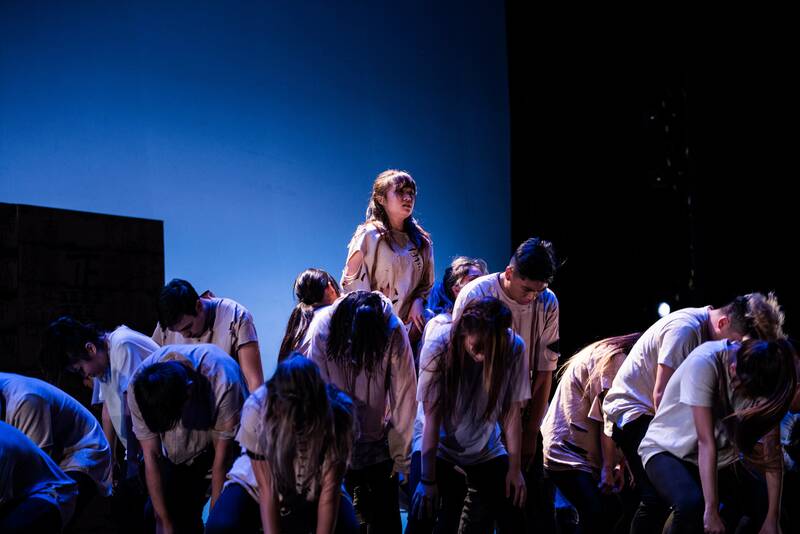 Founded in 2001 originally as an aspect for ACA's Chinese American Culture Night (CACN), the continued growth of the team allows us to entertain and perform at many locales and celebrations in the Los Angeles area. 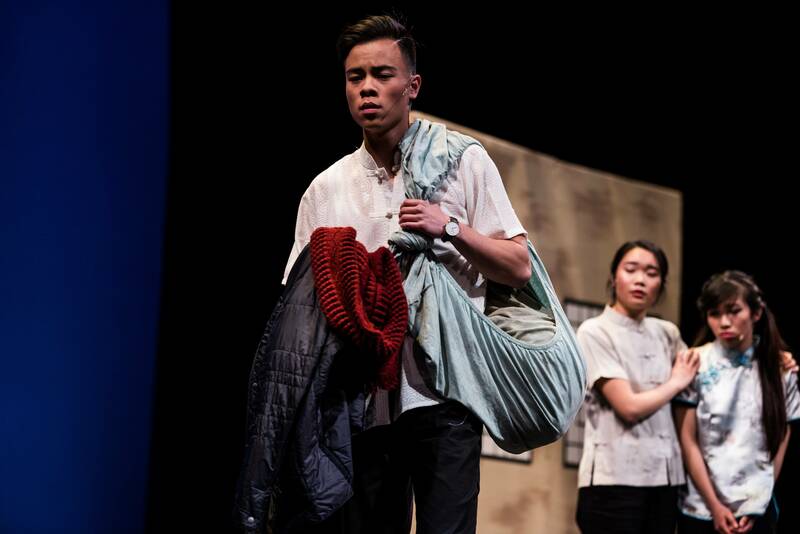 CACN utilizes drama to tell a story that highlights relevant issues and struggles facing the Chinese American community today. Several actors and actresses audition for a role in CACN's Drama Aspect. Those given a role put in countless hours of rehearsal to effectively deliver a performance that will impact so many people. On behalf of the Association of Chinese Americans at UCLA, we thank you for your continued support. 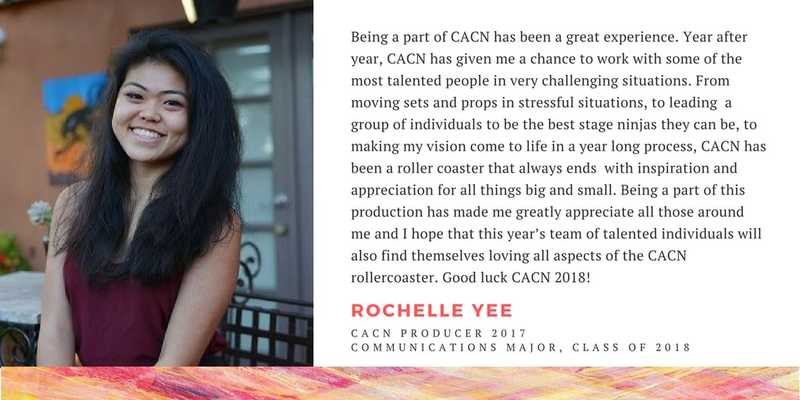 Without your generosity, programs like CACN could not exist! Thank you!